The SeeGull MXflex empowers engineers to collect complete data with one scanner in a single test. PCTEL’s most advanced scanning receiver, the MXflex has the power and flexibility to accurately test today’s complex wireless networks. It combines the concurrent data collection of the SeeGull MX with the flexible configuration of PCTEL’s innovative flex line. The scanner features software definable, field-upgradeable support of frequency bands from 130 MHz to 6 GHz. 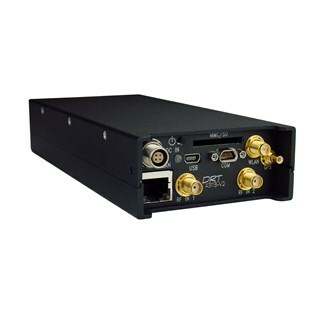 The MXflex’s design includes a modular front end and parallel high performance signal processing engines. This enables it to acquire, process, and report data from all 3GPP defined RF bands across all major technologies at the same time. Multiple technology and band concurrency allows it to maintain full speed and accuracy while measuring complex networks, for high resolution data density when compared to other scanning receivers. No extra test runs or additional scanning receivers are required. Wideband 2 MHz to 3000 MHz Frequency Range, No Cost Software. Defined Frequency Bands, 40 MHz BW tuner. GTR, Internal Gypsum Navigation and Timing Discipline.